Popcaan, Vybz Kartel, Mr Vegas, Kes & Bunji Garlin, Andy Jay, S Tee, J Funkz, Zinc feat. Sasha Keable and more. 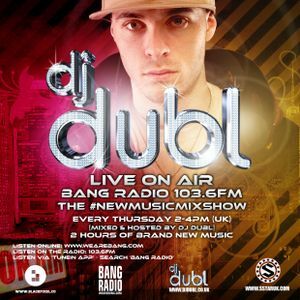 3 Hours of the best BRAND NEW Hip Hop, Dancehall, R&B & Reggae from the US, Carribean & the UK! If you wanna hear the future hits & biggest records as well as some CRAZY exclusives...this is where you hear them first!!! This week DJ DUBL is joined by Manchester&apos;s finest, DJ Stylus who brings a HEAVY Grime track by some Manchester artists and an EXCLUSIVE FIRST PLAY of a brilliant new record by Tyler Daley.